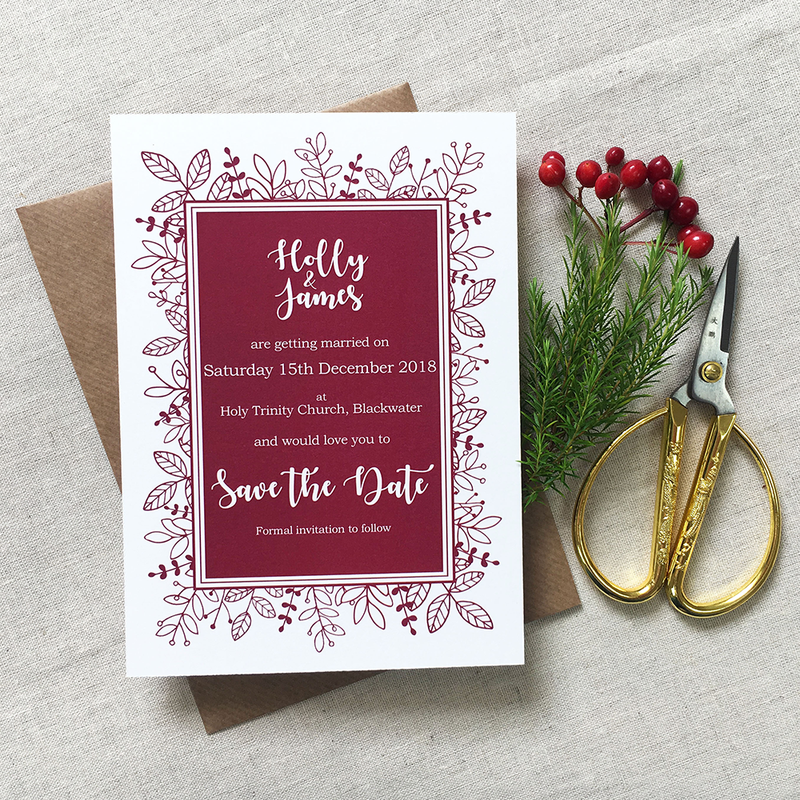 A gorgeous, seasonal collection with rich berry-tones and fine, hand drawn foliage, framing all of the special details of your wedding day. 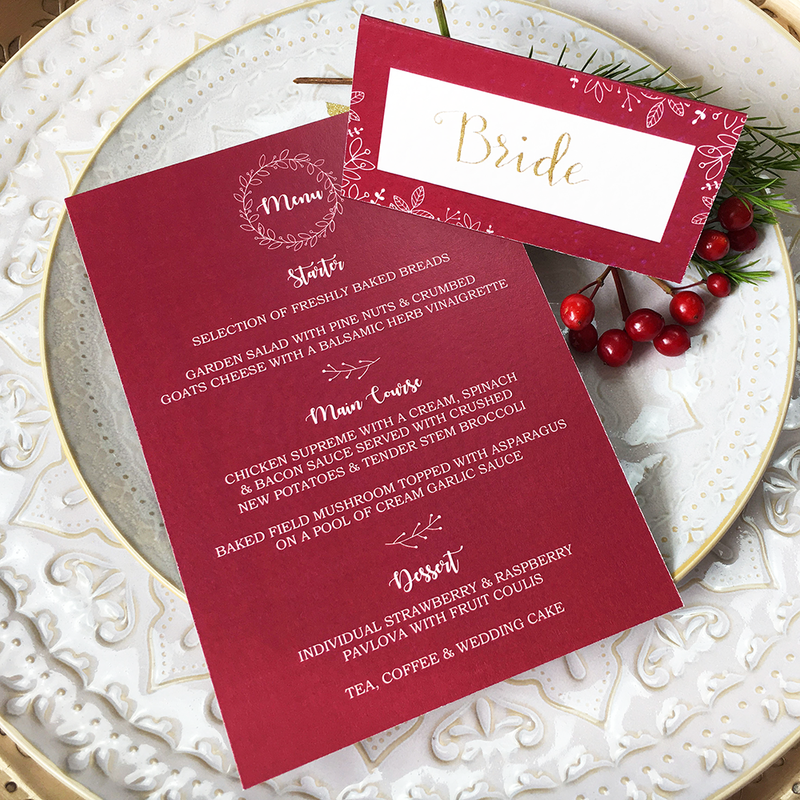 This collection would be perfect for an autumn, winter or Christmas wedding and would compliment the stunning deep tones that the festive season brings. I highly recommend that you purchase a sample pack so that you can see all the pretty details and look at the envelope choices available. Please note that in order to maintain the beautifully rich tones in this collection it is printed on smooth card stock only. - Additional services offered to make your stationery extra special, including: hand-lettered enveloped/place cards. Click here or see brochure for full details. Simply send an email to hello@leaflanestudio.com and let me know the date of your wedding and which range you have chosen and we go from there! I recommend you read through the full ordering process and terms and conditions also. Hear about new products, offers & see behind the scenes!